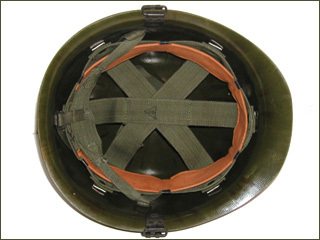 A bring back from the 1990 Gulf War, this helmet features a rubber rim to help hold a camo cover in place. 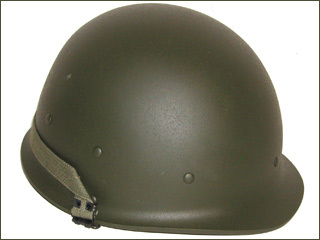 These helmets, as with the later examples were made in South Korea. It is not clear why the letter "M" is scratched on the front - was it done in the field or by the American veteran? 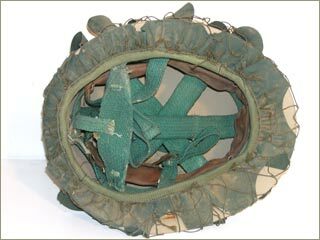 This unissued example of the Iraqi ballistic helmet was made in South Korea for export to various nations including Iraq. 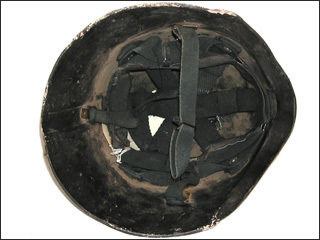 This helmet was found unissued after the first Gulf War. 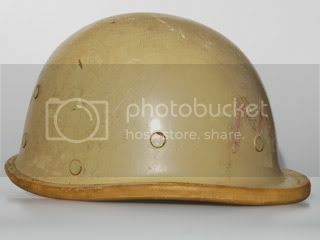 This model helmet was obtained during the recent Gulf War. It is manufactured of ballistic fiber with basic tan paint. 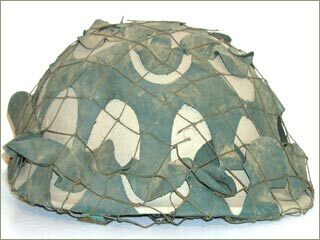 Itwas used by the Republican Guard and was made in South Korea for export to various nations including Iraq. During the recent Gulf War the Iraqi Fedayeen were created as an "elite paramilitary" unit and deployed on the Bassora Front. These troops were issued with a new light ballistic fiber helmet that resembled the "Darth Vader" helmet from the Star Wars movies. 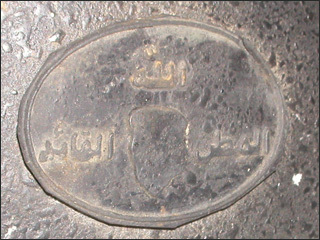 On the right side of the helmet is an oval badge with the inscription "The Lord, the Homeland, the Leader." 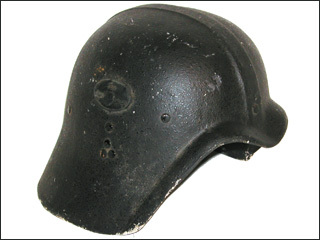 This particular helmet was found by British Sgt. Mellar in Baghdad in May 2004.